The former Israel Prime Minister Ehud Olmert has been granted early release from prison. 71-year-old Olmert , who was serving a 27-month prison term for corruption , has been granted parole and will be freed on Sunday, 2 July. 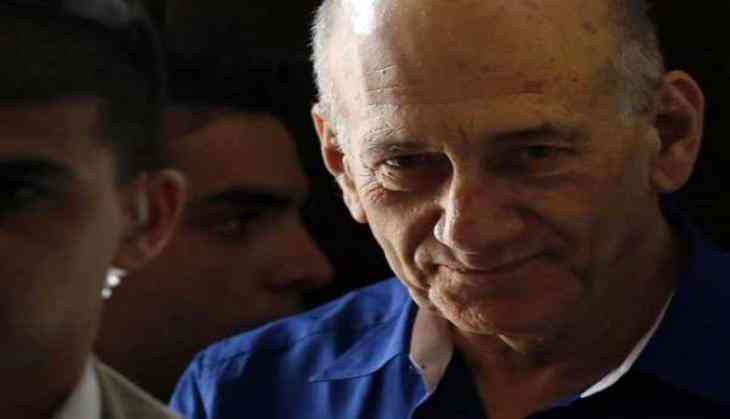 Olmert, 71, could be freed as early as Sunday after a parole board reduced his sentence by a third, a common practice for prisoners who have committed non-violent crimes. But the release could be delayed if prosecutors launch an appeal, Shani Eluz, a lawyer for Olmert, said. "He was very excited. He was very happy," Eli Zohar, another Olmert lawyer, said of the parole decision. "He hopes very much the prosecution service will not ask to delay his release,"the Guardian reported. Olmert was found guilty in 2014 of accepting bribes from real estate developers when he was Jerusalem mayor, before his 2006-09 terms as prime minister and leader of a centrist political party. During his tenure , Olmert made significant progress in talks with the Palestinians on securing a peace deal with Israeli by offering to withdraw from much of the occupied West Bank. But no agreement was reached. Olmert is known for having opposite views than Prime Minister Benjamin Netanyahu who on Thursday has approved an expansion project for the settlement of Beit El in the West Bank, thus starting the construction of 300 new housing units in the community. As prime minister, he waged war against militants in Lebanon in 2006 and the Gaza Strip in 2008.